There are a lot of folks out there, and you may be among them, who claim not to like cognac. And there may be a lot of reasons for why these folks (again, maybe you) don’t care for the stuff. You may have had some of the cheap variety and found the alcohol burn in the throat unpleasant. You may not like the price. You may not see the point of the beverage. Or maybe singular style drinks like cognac, port, sherry, and grappa may not be your cup of tea. This being the colder season, it may be time for you to reconsider, try these crafted spirits again, and focus on enjoying one of the great sipping pleasures available to you. I have always been a fan of cognac. Love the way the liquid looks in a snifter-style glass. I enjoy the bouquet immensely and the mouth-feel never disappoints. There have been, in the interest of full disclosure, following-morning experiences that don’t qualify as a singular joy of life. But if I remain sensible and enjoy a glass of water alongside the cognac glass, no ailment issues the morning after. 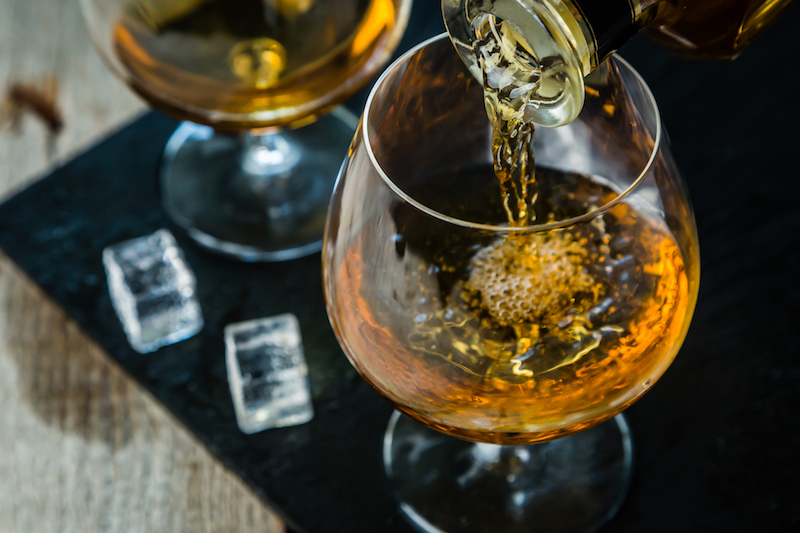 Cognac, named for a town in the western French region, all of the same name, is an amazing elixir. It is grape-based, mostly the ugni-blanc varietal, fermented in the usual fashion of winemaking, and then the wine is distilled to focus and concentrate the qualities of the now-spirit. By law, two distillations are completed in the process. Then the liquid goes into barrels for a long aging process usually longer than the age noted on the label. While in the barrel, the fruit aromas and flavors develop alongside the nutty character, sometimes almonds or pecans and sometimes subtler, like Brazil nuts. These aspects of cognac are developed by blending different eau de vie, base spirits of different age. The resulting warming liquid is usually expressive of a “house style,” a consistent character each cognac maker considers their trademark. There is a reward when the consumer shares such hard-to-achieve results with the dedicated professionals at each house. But where I think many consumers lose the thread of enjoyment is by not understanding how to drink cognac, nor understanding how to incorporate cognac into a cocktail. The proper technique for drinking cognac on its own is exactly the opposite mechanically from enjoying wine. In wine, air is taken in by the imbiber to open the wine’s finer qualities. In cognac, the mouth is kept relatively closed so as not to involve air any more than a minimum. Consumers all over the world are embracing the truth about cognac. Sales of this “mature” product, produced since the 1500’s, are soaring each year. There has been almost a 6 percent growth per year over the past several years, on top of more than 15.5 million cases. Impressive. When it comes to cocktails, cognac is indeed a gift from the gods. Standing up to just about any combination of ingredients in the glass, cognac provides heavy aromatics and deep flavors. You know it is there when it is there. Try a little experiment to start the New Year right, and to celebrate Carnival. Put some cognac in your life. But spend a few extra dollars on a good brand and high-quality ranking. Go for the V.S.O.P or even an XO. Try it on its own. Keep the tastes small and keep your mouth closed as tight as possible and still be able to enjoy the liquid. Savor the cognac on the palate for a few moments then let it slowly drift down your throat in small portions. Maybe pair the cognac with some non-pungent cheese, alongside a few nuts. We will cover cognac cocktails later. For now, let’s get acquainted with cognac on its own terms. Big rewards await. Read Happy Hour here on myneworleans.com on Wednesdays, and listen to The Dine, Wine and Spirits Show, hosted by Tim, every weekday, 4:00 – 5:00 p.m. on WGSO 990AM and streamed, as well as stored (podcast), at www.wgso.com. Also, check out Last Call, Tim’s photo-feature about cocktails in New Orleans, every month in New Orleans Magazine.